The UC Santa Cruz Genomics Institute has formed a partnership with Microsoft that will help researchers accelerate analysis of genomic information using the company's cloud computing platform, Microsoft Azure. The collaboration provides the Genomics Institute with access to new compute, data storage, and analysis capabilities, enabling researchers to more easily collaborate and share information and speed scientific discovery. 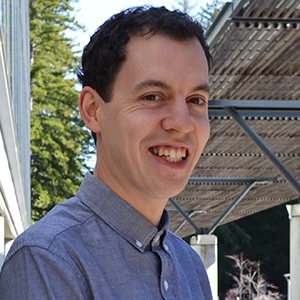 "Genomics increasingly relies on large-scale computing, and this partnership enables us to do a lot of cloud-based computing for several major projects," said research scientist Benedict Paten, assistant director of the Center for Big Data in Translational Genomics at UC Santa Cruz. The Azure platform will be used for a variety of genomics projects in which UCSC researchers are working to help the biomedical community use genomic information more effectively in the diagnosis and treatment of cancer and other diseases. These include the recently funded California Kids Cancer Comparison, which will use genomic analysis to help doctors identify effective treatments for California children with cancer who fail to respond to standard therapies; the Genomics Institute's participation in the International Cancer Genome Consortium, which is working to generate a comprehensive catalog of genomic abnormalities in 50 different tumor types and subtypes; and the Human Genome Variation Map project to develop a comprehensive map of human genetic variation. "The UCSC Genomics Institute is a premier genomics lab focused on driving targeted treatment of diseases," said Doug Burger, director of client and cloud applications at Microsoft Research. "Azure provides scale and efficiency to help institute researchers manage massive sets of genomics data while meeting stringent data use, security, and privacy requirements." David Haussler, scientific director of the UC Santa Cruz Genomics Institute, said the partnership with Microsoft will accelerate progress on the institute's projects in cancer genomics and other areas. "Microsoft's resources can have a big impact in genomics," Haussler said. "They have the expertise in cloud computing, and we have the genomics expertise, so this partnership has great potential." Cloud computing offers many advantages for genomics research projects that involve intensive computational analysis of large data sets. The flexibility of commercial cloud services means researchers have access to as much computing power as they need at any given time, so they can do their analyses more quickly, Paten said. "It's more efficient to share compute resources than to own it ourselves," he said. "With the volume of genomic data increasing exponentially, it makes sense to use the scale of the commercial cloud." In March 2015, the National Institutes of Health (NIH) lifted earlier restrictions on the use of cloud systems for storage and analysis of human genomic data, clearing the way for commercial providers of cloud services that meet NIH's data use and security standards to collaborate with the genomics research community.